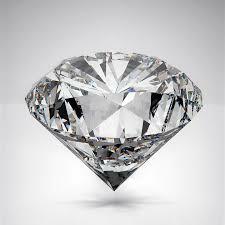 Diamonds are between 20 million and 2.5 billion years old. Diamonds are formed at high temperatures (at least 2,000 degrees Fahrenheit) and pressure (depths of 87 to 118 miles) in the Earth’s mantle. The growth occurs over periods of time between 1-3 billion years! Known to the ancient Greeks as adámas (meaning unbreakable) and sometimes called adamant, diamond is the hardest known naturally occurring material, scoring 10 on the Mohs scale of mineral hardness. When you give someone you love a diamond, it represents the strongest bond on earth. A diamond is something that was formed millions of years ago and has traveled a hundred miles to reach the surface where it’s found, fashioned and presented. We would love to help you find the perfect diamond to present to someone you love most!